Rangemaster professional, Kitchener 90 black fascia sticker set. Hotpoint SY36B/1 Brown fascia sticker set, solid vinyl. Home Appliance decal stickers. Delonghi Delonghi DFS901SS Fascia decal sticker set. 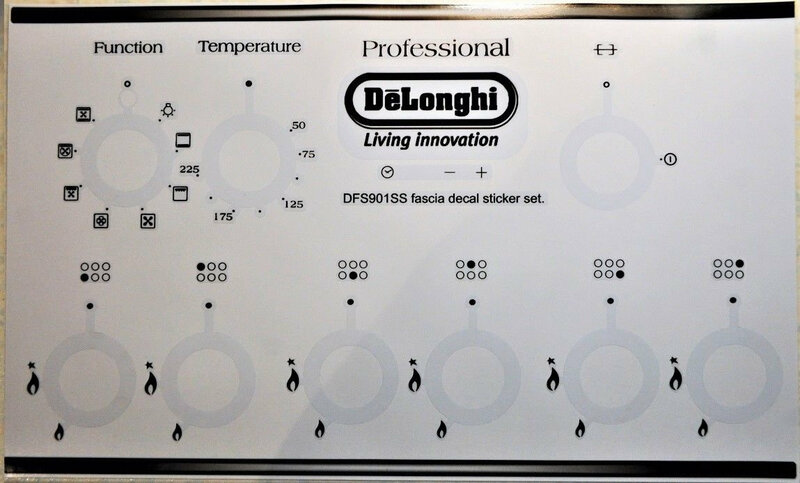 Delonghi DFS901SS Fascia decal sticker set. 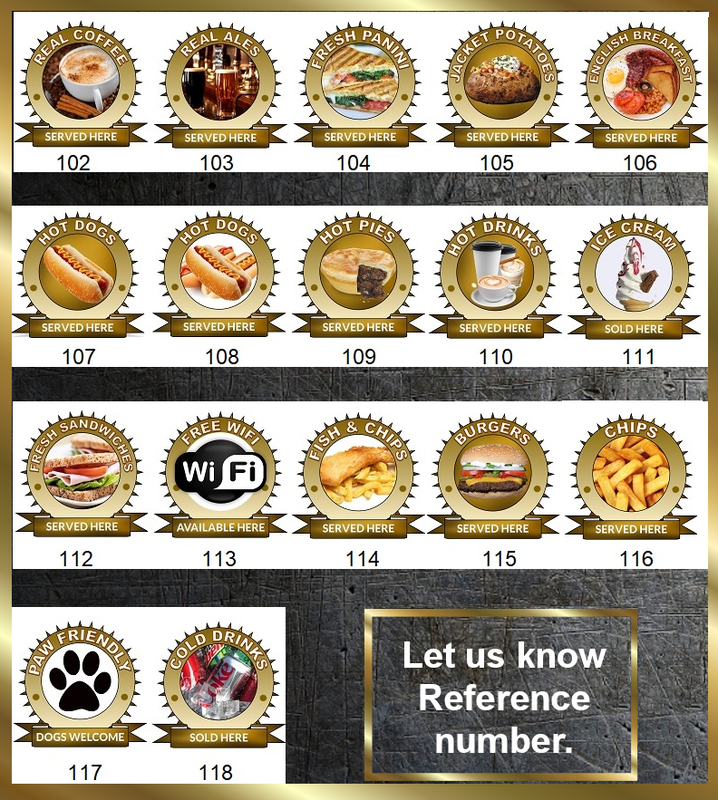 Very high quality clear vinyl stickers, simply remove all remnants of old, remove dial then carefully peel, align and stick to a clean dry surface, a super set. These are so well made that if aligned correctly you will not see the circle below the dial.